Meal planning has been such a positive change in our family life. 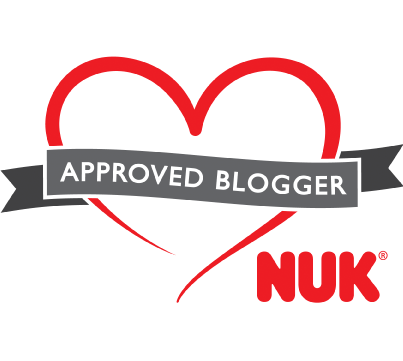 Don't get me wrong it can be a bit of a hassle thinking up new healthy meals, but with companies like Dolmio making it easier it is certainly the way forward. We have got into a routine of cooking up a large batch meal on a Sunday evening and then having it throughout the first part of the week. My husband and I both work for the first half of the week, so there is minimal time to be cooking from scratch every night. However, cooking a large batch of something means we can have different home cooked meals every night. 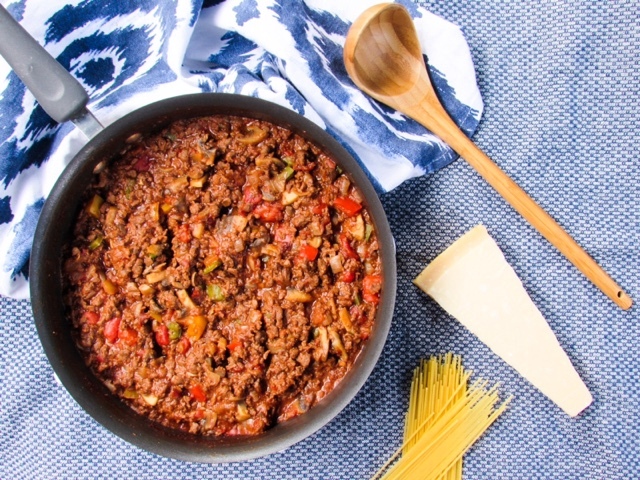 One meal that works perfectly for batch cooking is Bolognese, it's such a versatile base! 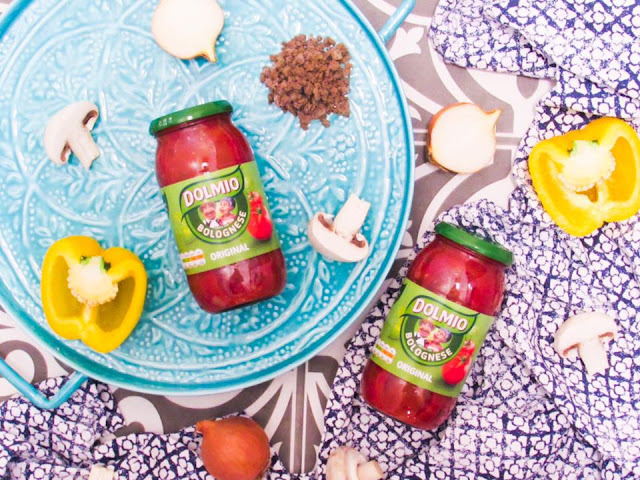 Dolmio Bolognese Original sauce is packed full of goodness and the perfect way to create a tasty sauce in no time at all. 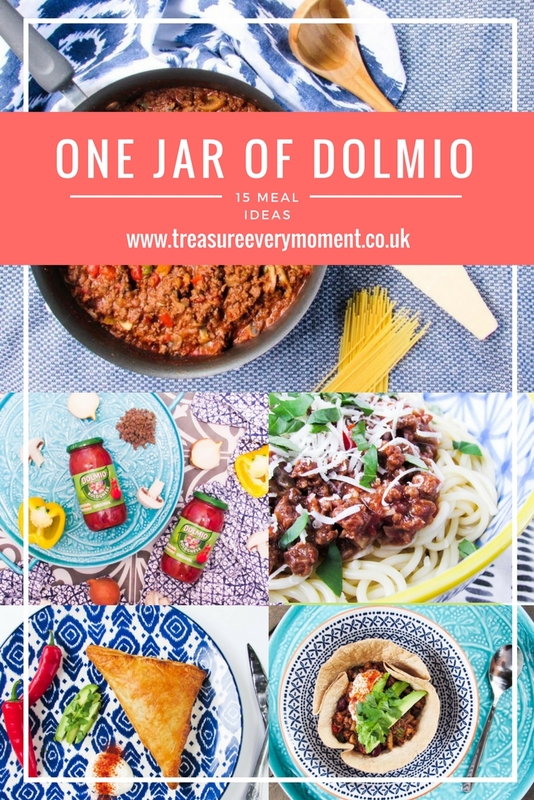 In fact the contents of a Dolmio jar are: 10 juicy diced tomatoes, a dollop of tomato puree, half an onion, a tablespoon of sunflower oil, a couple of cloves of garlic, a handful of herbs including basil, a teaspoon of cornflour, a teaspoon of salt, a pinch of pepper, two teaspoons of added beet sugar for taste, a squeeze of lemon juice, a splash of water and nothing more. 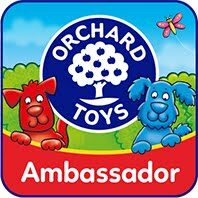 It is therefore ideal for creating healthy meals suitable for the whole family. To make the Bolognese sauce I cooked diced onions, red/yellow/green pepper and mushrooms in a large deep frying pan. Once mostly cooked through I added vegetarian/meat mince, Italian dried herbs, black pepper, cooked for 5 minutes and then added the Dolmio Bolognese sauce. Simmered it for 20-30 minutes (the longer the better really, just make sure you keep the lid on for most of the time and stir once in a while) and set aside. 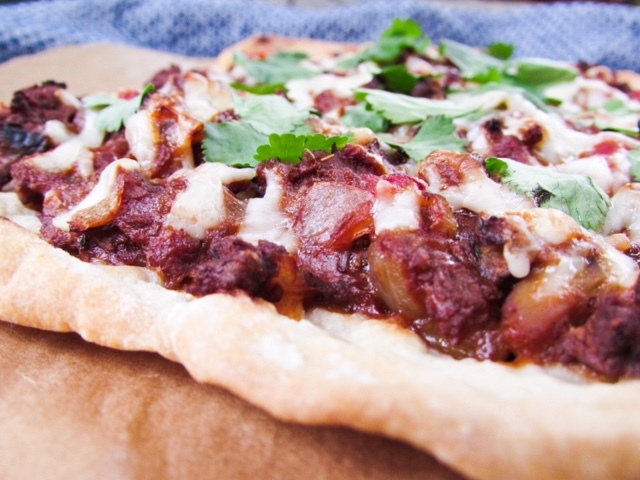 Ever tried Bolognese on a pizza before? It's delicious and if you think about it, it's a match made in heaven. The tomato base is already in the Bolognese and the cheesy topping makes it feel like a real treat. 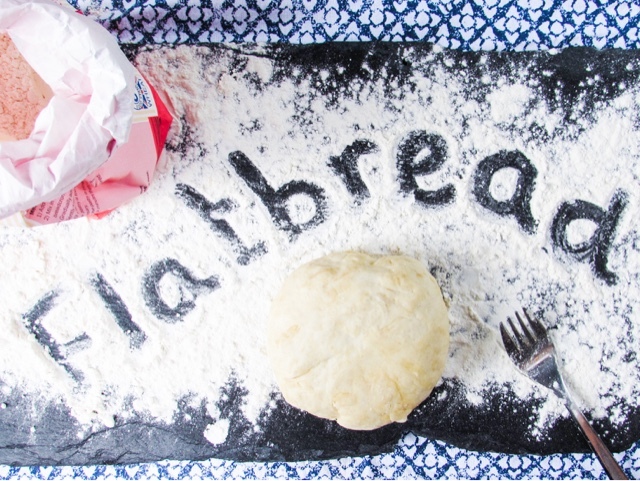 To make the flatbread I mixed together plain flour, dash of olive oil and enough warm water to create a dough. Then roll it out and place into a dry saucepan to cook, it will take around 4 minutes on each side. Place on a lined baking tray, spoon over some of the Bolognese sauce, sprinkle with cheese and bake in the oven for 15 minutes. It's a classic. I used some of the leftover flatbreads from the pizzas to make garlic bread (mixed crushed garlic with butter and spread onto the flatbreads before heating through in the oven). 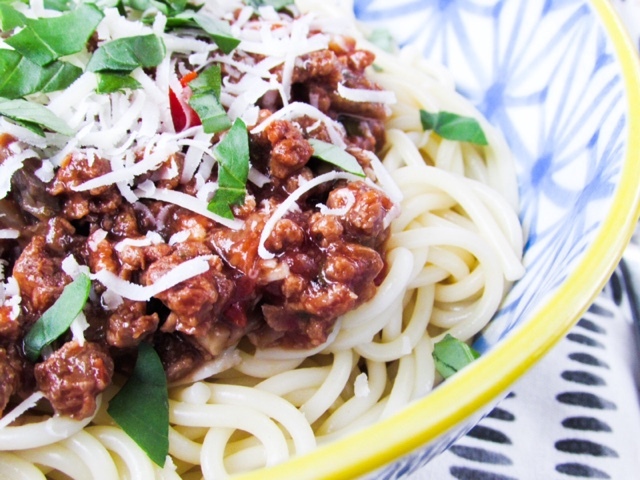 Cook spaghetti as per the packet instructions, top with Bolognese sauce, sprinkle with cheese and fresh basil. Comfort food at its best! To make the Mexican chilli I added kidney beans, fresh chilli, cumin, paprika and chilli powder to the Bolognese sauce. You can do this to your personal taste, just make sure you heat it through really well too cook off the spices. 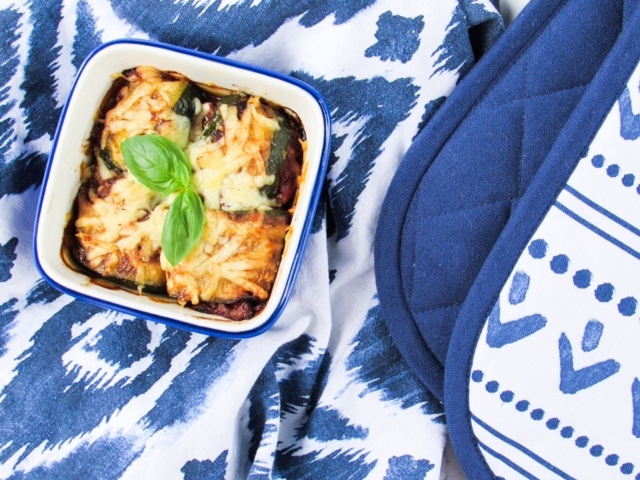 Place a tortilla wrap into an ovenproof bowl and bake for 10 minutes, or until crispy. 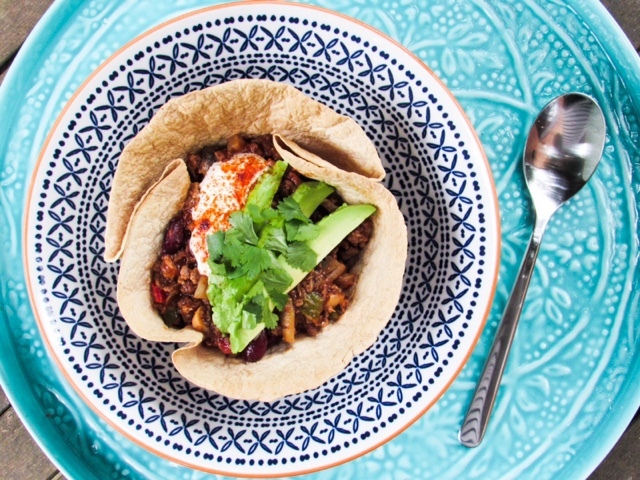 Fill the tortilla bowl with the Mexican chilli and top with fresh coriander, avocado slices and soured cream. These are a firm favourite with Isabella and it's a perfect way of adding even more goodness to the meal. Slice a courgette length ways, place in a frying pan with a drizzle of sunflower oil and cook on both sides until completely cooked through. 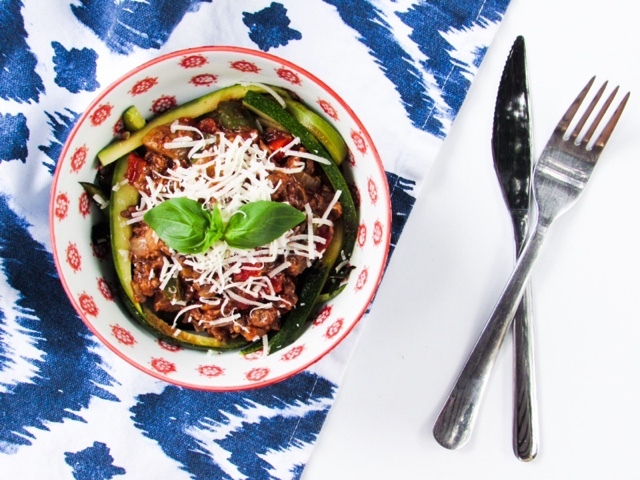 Allow to cool down slightly, then spoon some of the Bolognese sauce onto one end of the courgette slices. Roll them up and place into an ovenproof dish, top with cheese and bake for 15 minutes or until the cheese is golden. A twist on a classic and a much lighter version. To make the courgetti you could either use a spiralizer or this time I cooked a few more extra slices for the courgette rolls and thinly sliced them up. 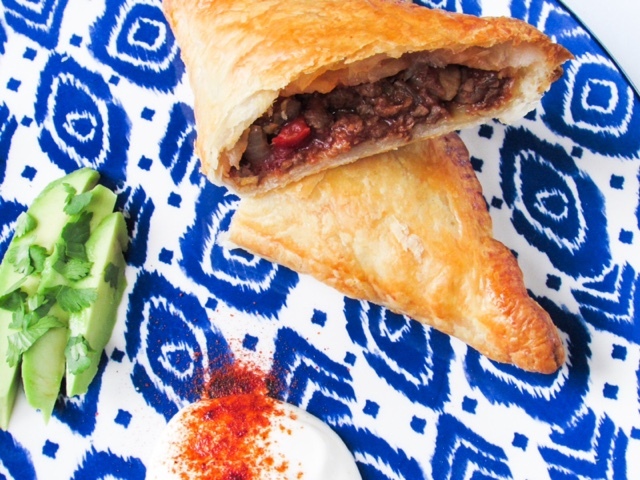 It's all about convenience when it comes to mid-week meals. Using some of the leftover Mexican Chilli (from the Tortilla bowl meal) I spooned some into the middle of a square of ready-rolled puff pastry that was on a lined baking tray. 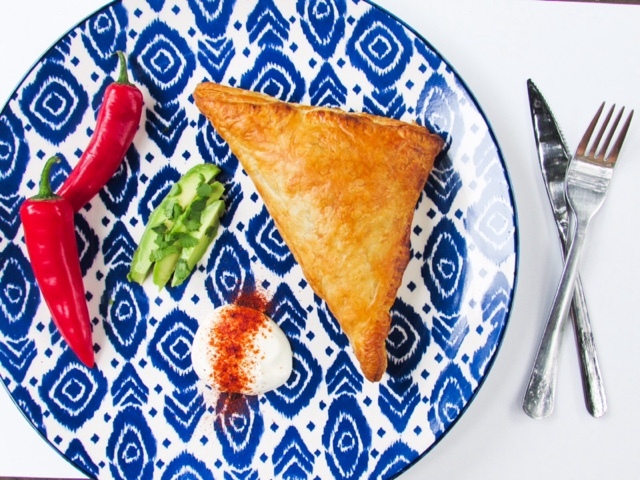 Sprinkle the chilli with cheese (chilli cheese is incredible), brush milk around the edges and fold the pastry over to create a triangle. Brush with milk and bake at 190'C for 20-30 minutes. I hope you feel inspired! Other ways we enjoy Bolognese is on jacket potatoes, loaded onto potato wedges, with rice, as a sloppy joe style burger, in a lasagne, stuffed butternut squash, loaded potato skins, stuffed cannelloni and moussaka. You can just add different spices ingredients depending on the type of dish, with the basis being a jar of Dolmio Original Bolognese Sauce. 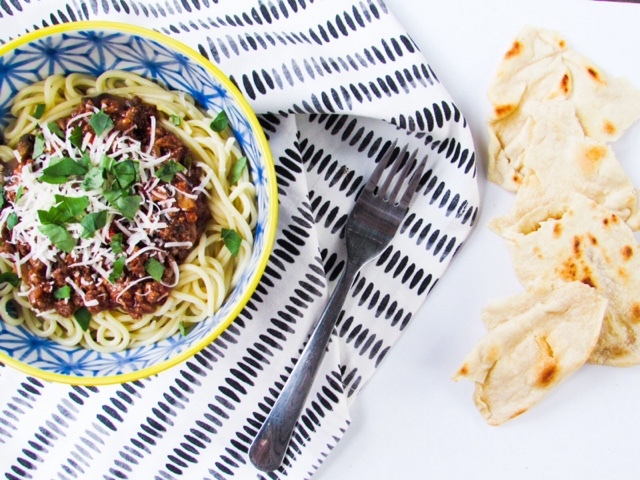 What's your families favourite way to enjoy Bolognese sauce? 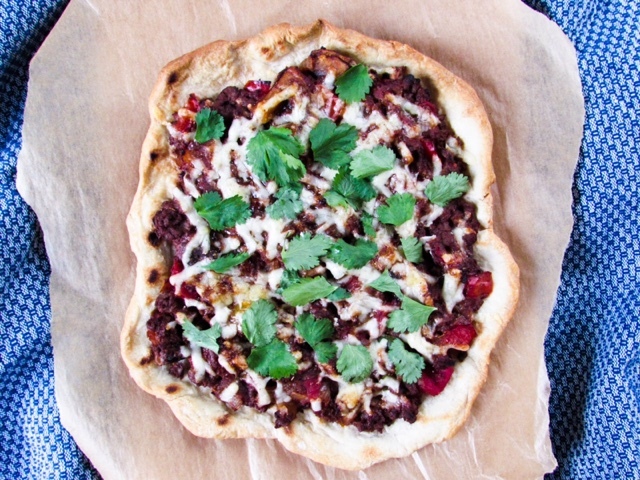 The pizza flatbreads look really yummy. I want to make them now! Wow what fab inspo I never thought of using Dolmio in so many different ways! I'm really tempted to try the bolognese flat breads. They look yummy and sound so simple and easy to make. We often make a chilli out of left over bolognese! We love this sauce on our house. It is so handy. *in our house. Silly iPhone. 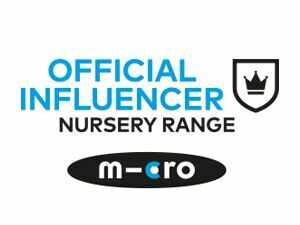 Never heard of this brand but great ideas! 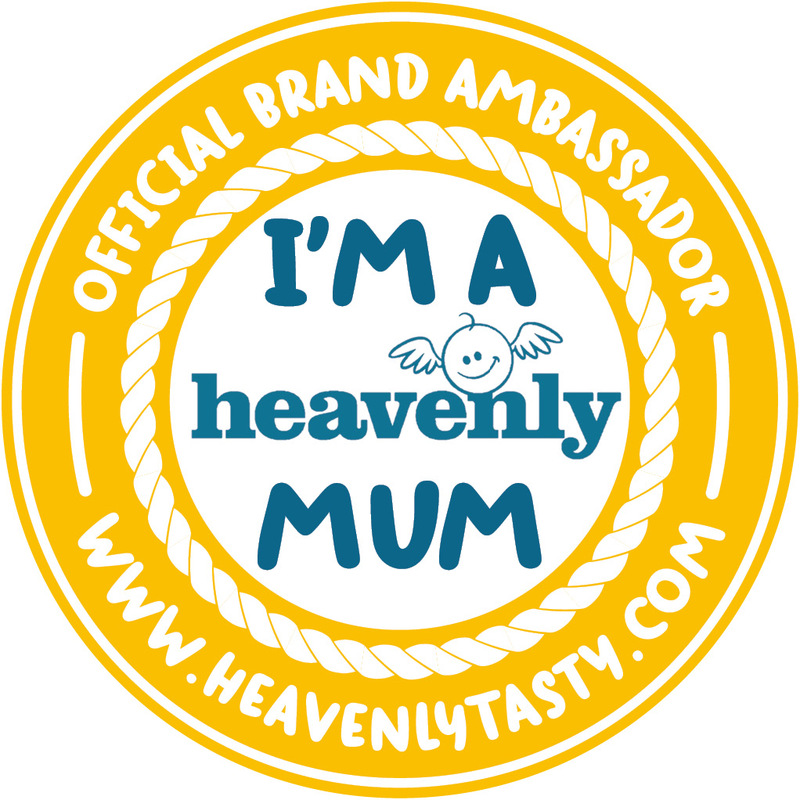 Lovely selection - commenting for myself and on behalf of BritMums and thanking you for taking part. I absolutely LOVE your ideas Helen. We love Dolmio in our house, but tend to stick to the same two things with it. I'm 100% trying some of these ideas. Especially the flat bread and the courgette rolls. Thank you for the inspiration!